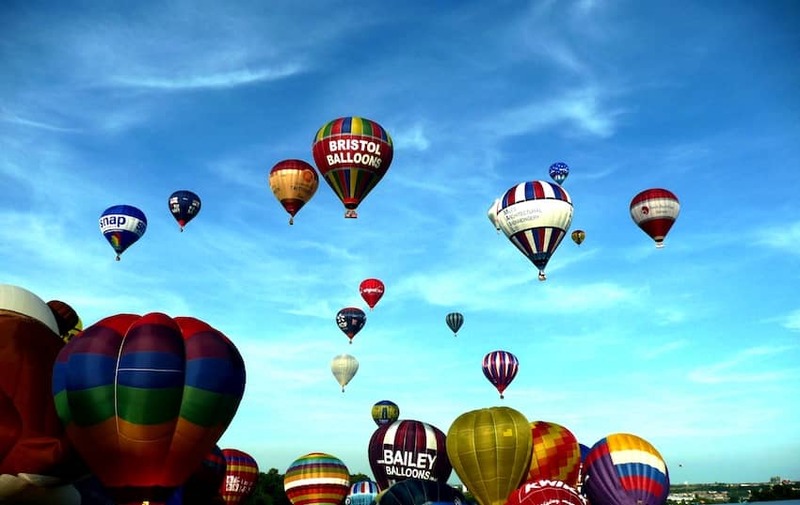 The Bristol International Balloon Fiesta is Europe's largest annual meeting of hot air balloons, attracting over 150 from across the globe. The event was first held in 1979 and takes place in a large country estate, Ashton Court. Mass launches are made twice a day, at 6am and 6pm, subject to weather conditions. A popular attraction is the Nightglow, when balloons are inflated and glow to music after dark. These are held on the opening Thursday night and on Saturday night at approx 9:30pm, each being followed by a spectacular fireworks display.